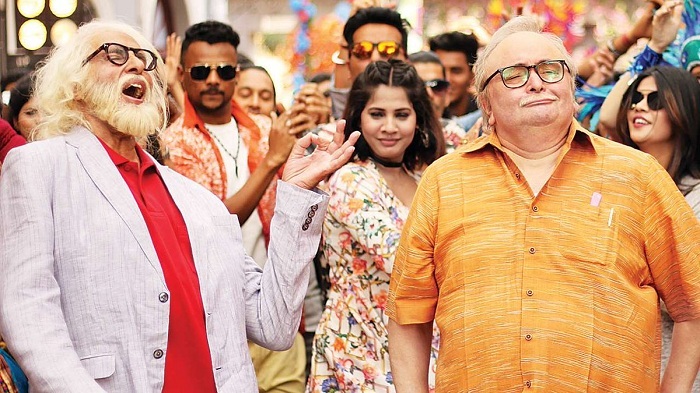 102 Not Out 2nd Monday (11th Day) Box Office Collection. Excellent Hold Again. 102 Not Out has shown excellent hold again in start of second weekdays. Film has hold very well on 2nd Monday (11th day). Drop from 2nd Friday is approx 30-35% which is fantastic. There is no doubt film will trend well again through the weekdays now. 102 Not Out has collected an approx 1.25 crore nett on day 11. Film total business currently stands at approx 38.1 crore nett. Film is all set to cross 40 crore nett inside week 2. Thus, film will emerge as a Hit by the end of second week. 102 2nd week total is heading towards 13-13.5 crore nett mark. Film lifetime business should touch 45 crore nett. If film somehow trends exceptional from here on then it has an outside chance of even going close to 50. Fri -> 1.85 crore nett. Sat -> 3.05 crore nett. Mon -> 1.25 crore nett (est). Total -> 38.1 crore nett (approx).